Never before in history have people been exposed to such a great variety of toxic chemicals. More than 80,000 available in the U.S. have never been fully tested for their effects on our health. According to the EPA, toxic chemicals are responsible for up to 80% of cancer deaths. In my opinion, it’s important to reduce the toxic load on our bodies. A great way to do this is with near infrared sauna therapy. I used Sauna therapy when battling Hashimoto’s – it was very important to my detox routine. Basically, infrared sauna heats the body temperature several degrees above normal and the body attempts to reduce its temperature by driving blood to the surface and sweating. The heating, and the body’s response to heating, can produce many beneficial physiological effects. Just last month a study from Finland found that those who used saunas on a regular basis reduced their risk of heart failure, coronary heart disease and had longer lifespans. They tracked more than 2,000 Finnish men for nearly 20 years on average and also found that more sessions per week provided more health benefits. This is a picture of the SaunaSpace Pocket Sauna at my house. Infrared sauna therapy can provide many of the benefits of exercise with less expenditure of energy. This can be especially helpful if you’re struggling with a disease and don’t have much energy to exercise. Sauna therapy can increase circulation, lower elevated blood pressure and improve oxidation of the tissues. Many of us have damaged or mutated DNA due to the effects of toxic chemicals and ionizing radiation. 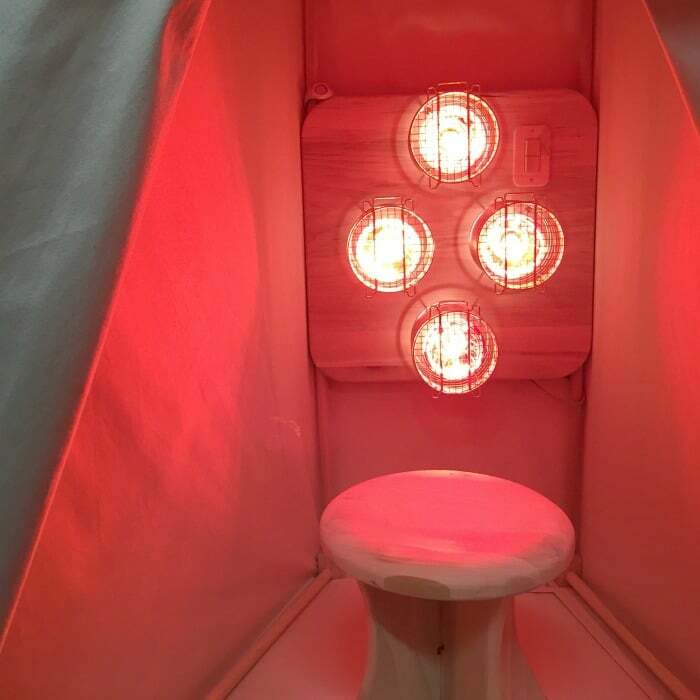 Heating the body using infrared sauna therapy can help kill weaker mutated cells and help prevent their reproduction – slowly improving the ratio of healthy cells to genetically damaged cells. For those of you interested in the MTHFR mutations, this could be a key piece of information to help you improve your circumstances. Hyperthermia is a well-researched therapy for cancer according to the National Cancer Institute and American Cancer Society. Dr. Wilson explains that tumors don’t tolerate heat well, so raising the body temperature may hasten their death. Sweating helps stimulate blood flow and circulation throughout the body (just like exercise does). Increased circulation helps relax the body. I’ve personally experienced this and can’t even tell you how much the sauna helps my stress level. Remember, stress is like gasoline on a fire for almost all diseases, so reducing stress can play a huge role in the healing process. Why choose a Near Infrared Sauna instead of a Regular Sauna? 1. Infrared light is uniquely beneficial as it is 600nm – 950nm. The phototherapy benefits it provides are totally unique to this narrow band of the sunlight’s spectrum. 2. We only have any photoreceptors near infrared and visible red. The NIR (near infrared) light directly activates various cellular processes that promote cellular healing, detoxification, increased metabolism, and more. 3. NIR light is safe for the eyes and can heal cellular damage in the eyes. 4. Here are some of the healing benefits of NIR: alkalinization of the cells, nerve tissue regeneration, wound healing, increased collagen production, relaxation of the central nervous system, activation of heat-shock proteins, a newly recognized class of proteins that act as chaperones for immune bodies in the cells, bringing them to the toxin sites, so toxin elimination is more effective. 6. Provides sufficient heat for effective hyperthermic therapy. Until recently, I thought of a sauna as a huge cedar room – usually at a health club or gym. I thought they occupy tons of space and cost several thousand dollars, too. I’m excited to share with you that SaunaSpace makes a wonderful near infrared sauna that costs much less than competitors’ and takes up only a fraction of the space! 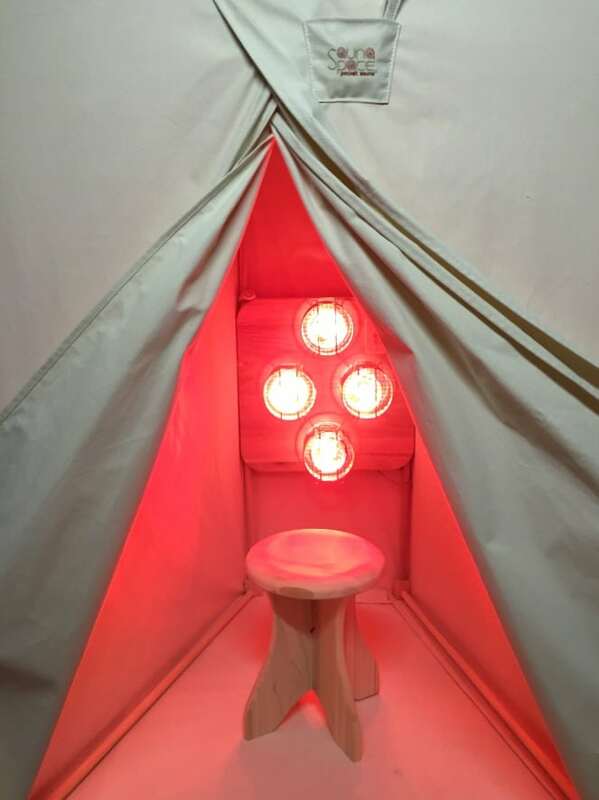 Their “Pocket Sauna” can be set up in the corner of a room in about 45 minutes, without tools. It can be easily broken down and set back up if you want to travel with it or if you move often. We set ours up in a walk-in attic space in our house. We use it daily and have seen some wonderful health benefits. How do you use the sauna? Here’s a post from SaunaSpace that includes all the instructions you need. I love Deliciously Organic. Thank you for bringing so much of your knowledge to my life, and for kick-starting living a cleaner life for myself and my family! I grew up taking saunas but we're renting now and don't have one. We miss it! Love them for sweating out toxins and relaxation. As a survivor of uterine cancer and nutritionally fighting Hashimotos, my doctor has perscribed weekly infrared sauna visits. This would prove my health and allow me to keep fighting and be at home. I also have hashimotos and adrenal issues. Are there any warnings as far as how much time to start out with.. also any reactions that I should be worried about when I'm in there? Thanks! Carrie - did you do this daily when working on your Hashimoto's? Do you do it daily now? I have an autoimmune (Alopecia Universalitis) that I'm working on putting into remission and recently found out I have the MTHFR mutation. I'm getting a membership to an Infrared Red Sauna and wondering how often I should go - I'm asking my holistic dr as well, but just curious what you did/do? Thanks for all you do! I'm always sharing with others what I learn from your page!! Battling Hashimoto's as well; as a family nurse practitioner, I know the benefits of this therapy! I HIGHLY recommend it! This would be So awesome ! The infrared will help me with detoxing and with knee and back pain. I go to a spa/wellness center in Destin, and she has an infrared booth there and I know it makes a big difference for me, it would be beyond fabulous to have my own at home, and my hubby could use it too! Wow!! What a great giveaway!! Love you and your blog!!! This would be perfect for my own Hashi's detox routine... I'm making great progress, perhaps this will be the clincher! I've read a couple of articles about the great benefits of saunas. But space and price have been an obstacle for me. This would be a win, win for me! Thank you for the information! I'd use it for chronic pain in my neck and lower back. I had infrared sauna treatments to help me recover from an Epstein Barr virus attack! I would love this for pain relief and relaxation. Yea! Thanks for the chance to win! I'd love to try this for relaxation and reducing the toxins in my body. It'd be really nice to have one in my home instead of going to a smelly gym.Thanks for the great giveaway! I have been wanting a sauna but thought we would have to wait until we have our dream house. We live in the northern Midwest and this would help in the long winter months when we don't get sunshine for days. Oops..forgot to mention that it would really help my skin! I've been on Gaps for years to try to heal from Hashimoto what am I doing wrong? How do we signup for their newsletter? I can't seem to find the link. Wow - using a sauna would be high on my wish list. I always felt better and more limber when I have used a sauna in the past. Thanks! I've had access to saunas off and on, wood burning sauna in the the north woods, an electric one at a friend's home and now an infrared at a local spa. I love saunas. It will help me detox metals. Being in the midst of high stress lately, I would love the relaxation benefits and removing all those nasty toxins! I would love a Pocket Sauna to help detox my body. I've been having digestive problems for a long time now, and hope this might help in my recovery. I am a thyroid cancer survivor. I am constantly trying to better my health and love your blog. 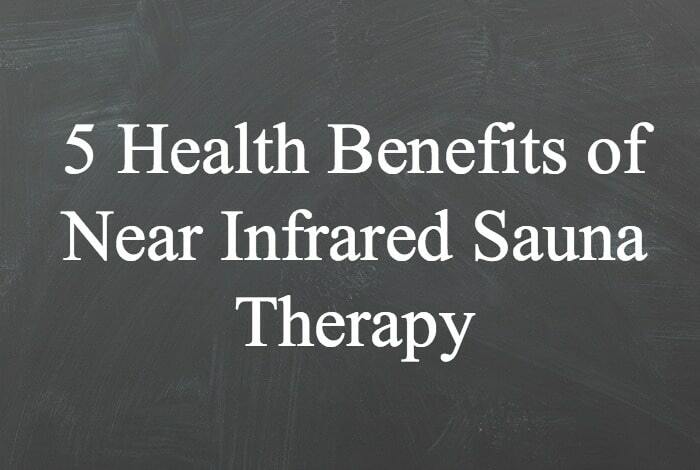 Thanks for sharing this information about the benefits of infrared sauna therapy. I had no idea! You need to begin doing coffee enemas and Dr. Larry Wilson's free nutritional balancing program in order to beat candida for good. Best wishes. This is amazing and I had never heard about it before. It would be fantastic for knee and neck pain. Thanks for the opportunity and the education!! This sounds sooo good to me. I deal daily with fibromyalgia, and my husband from nerve pain after concurring Hodgkins Lymphoma, so any help is great. Love what you do! =) Thanks! I grew up in the sauna (pronounced sow-nuh) hehe. We have a wood burning sauna at our cabin and it's always been a healing experience. Nothing like jumping in the chilly lake after a good sweat to feel cleansed! I also suffer from Hashimotos and basically incorporate anything into my life to feel healthy again!Thank you for your journey Carrie! I love your cookbook! This would be wonderful. Right now I drive 45 minutes once a week to use a sauna. This would be so much easier and my whole family could benefit, as well as me being able to use it more often. I have Crohn's disease and am in constant joint and muscle pain. Would love to try this!! I have Hasimoto's as well. I am healing thru diet and lifestyle and would love to add the sauna for additional help. I love the recipes on this site, thank you for being an inspiration! I have used one of these in the past and love the detoxification benefits! Excited to know there is a "pocket" version. A sauna is a great healing tool! This looks fabulously easy and relaxing! I would love "relaxation of the central nervous system"... are you kidding? Where has this been all my life? lol I'd love to try this. Plus that this is small would be perfect for us. Thanks for a chance. I would love to try a sauna out! I am battling fatigue. Thanks for the giveaway! I would LOVE to have this as part of my detox/health maintenance regime. Sure would beat the infrared bulb on a little lamp I have now:) Thanks for your wonderful site! We would definitely use it to unwind and sweat out toxins! I think this would be really helpful for my Hashi's. I've heard really good things about infrared sauna, but never tried it myself. Might have to put this on my wishlist. Well, I have been dealing with Ulcerative Colitis for nearly 17 years, it has definitely caused me lots of depression. I've been researching natural and healthy ways to rid this autoimmune and it sometimes feels hopeless. Recently, I treated myself to a spa day, full massage and all however the massage did more harm than good. I was in bed for a week with flu like symptoms, the massage re-released toxins into my body and I was terrified! 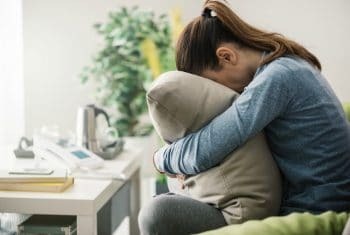 I'm a mom of 4 and a military wife , my family needs me and I truly need to start taking care of me. I've been taking the "non-flushing" niacin (I'm still nursing) and it's been doing great! I'd love to get to a gym and sit in a sauna but it's not something my time can afford right now. This would be such a blessing! Thank you so much! I have neck and shoulder pain that would really benefit from sauna! Pick me! Wow! I had no idea of the benefits of this therapy. I am hoping it will help my allergies. I have heard of infrared saunas for years but have never tried one. Years ago, I called all around the city looking for one to use without success. I love that this sauna is small and portable. My doctor just diagnosed me with Lyme disease and suggested an infrared sauna would help! I also think it will help me with stress. 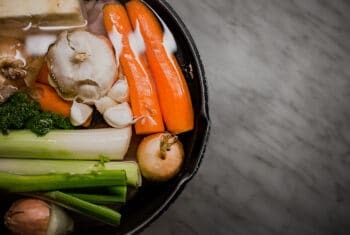 Because I have a host of health issues, I cannot do many traditional detoxifications without compromising or exasperating my current conditions. This sounds like a great way to detox without the side effects!!! oops-my comment was supposed to be about the sauna--omg I would love this--I am just starting to eat/be healthy-I need help for everything==I have soooo many physical issues--basically hit 40 and everything is just going--I would love the heat--for my back, and nerve stuff---detoxing-helping my poor weary cells out--pain-and more....puuuulllease? I love Deliciously Organic and this sauna would be the ultimate win for my body to deal with my Hashimoto's and Stage 7 Adrenal Fatigue. I never realized all that adrenal stake care of but I sure know now. Thanks for this opportunity! Thank you for this awesome giveaway! I would use the sauna for chronic back pain and for relaxation and help with toxin removal. What an amazing giveaway! The sauna would really help me recover from Stage III adrenal fatigue and leaky gut. Not only that but the health benefits overall would be so beneficial! I have hashimotos and PCOS. I would love to try this out. This intrigues me! I'm looking forward to learning more! Spring is a great time to clear out the toxins.! I'm hypothyroid and have pains in my hands--I'm hoping it would help me that way. My husband has a MFTHR mutation--hopefully that would help him. I would love this for removal of toxins and cellular renewal!! It's all about stress reduction for me - just that little bit of "me time" would make such a difference...I could meditate in there!!! Would love for Hubby too - he works sooooooooooo hard!!! I REEEAALLLYY hope I win! I think it would do wonders for my RA! I would love to win one of these. My dad has been talking about them for a couple of years now. Thanks for the opportunity! I shared this on my own wall AND on my page with over 7,000 fans :) I would use it to try to help heal my adrenals and thyroid issues. I would use it for detox and relaxation. Will use to assist with heavy metal detox which has effected the thyroid ! I'm not allowed to be on facebook because of my job, so I couldn't enter the giveaway. Is there no other way? You can enter with just your email address. What an exciting giveaway! I would LOVE to win this!! Relaxing and helping with my allergies. I believe that a far infrared sauna would help with my recurrent pain and inflammation from suffering with rheumatoid arthritis for many years. In my experoence, far infrared heat feels better than any other kind of heat on my joints! I just had knee surgery and know I have a lot of detoxing ahead of me. The Sauna could certainly help. What a great giveaway! I have Lyme disease masquerading as MS and have read that the sauna experience can help detox me! Your blog saved my hide - literally! Last year I thought I was going bonkers with my itchy red self and stumbled across your blog. Thank you! I've had lots of digestive issues and I'm trying different way of detoxing (among other things) to help with my issues. This sounds like it may help as well! 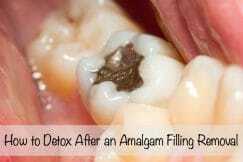 Toxin removal would be most welcome! I have read a lot about the health benefits of saunas on Dr. Mercola's website. I never imagined they could be so versatile. Thank you for the giveaway. Carrie, thank you for this wonderful giveaway! I would so love this sauna to help heal Hoshimoto's. Recently someone told me to try infrared light on my ears as I have vertigo problems too. This would be perfect to help with both issues! I would love a sauna to detox as well as for neck pain. A sauna would be wonderful for the whole family. Great for unwinding, reoccurring shoulder pain and a detox for my son. Thank you! This would help with my arthritis, thyroid, fibromyalgia, and chronic fatigue! Thank you for sharing! I thought saunas were only at gyms and health clubs too! It would be amazing to have this at my house! This website is always inspiring me and pushing me toward better health. I would love to try this!! This would work great for my household! Would love this in my home. I feel the whole family would benifit. Struggling with hashimotos and I would love to win this!!! Love this site and your books - have helped me so much in going (mostly) grain free. Always knowledgable and inspiring! My friend us helped so much by her infrared sauna. Oh how awesome it would be to win one for my own use! My functional medicine practitioner actually just recommended infrared sauna therapy as I suffer from Hashimotos, Sjogrens, and now chronic neurological Lyme disease. I am sure that this pocket sauna would help me maintain symptoms. 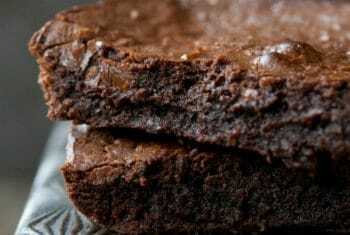 Thanks for this opportunity to win one and thank you for all of your amazing recipes! Staying grain free has certainly helped me in my healing so far! My son has Hashimoto's, and I'm thrilled to know there is another method to combat this disease. This is very helpful. Thanks for sharing! I tried logging in with just my email address and it was not accepted--I keep getting a message to log in with Facebook. Are you sure email works? Love your blog and recipes! I have Hashimoto's and had surgery for it -- long before I ever knew anything about autoimmune conditions and healing with nutrition. I am hoping now to heal further and reverse the other symptoms. Thanks for your positive helpful info! I just tested it and it's working fine on my end. Can you send us a screen shot of the issue? Here's the email: info@deliciouslyorganic.net Thanks! I had the same problem at first. It won't let you autofill your email address. If you type in the total address, it will work. I would love an infrared sauna at my home instead of having to drive 40 minutes to a healing center for the experience. My whole family would benefit, and we have the perfect spot in our home for it. I used to do near infrared saunas at my chiropractors till he moved and took it with him. I keep a clean diet and drink lots of water, but I really miss the cleansing I felt from using the sauna. Thanks for your awesome blog! My husband has been disabled for 27 years with nerve damage from an accident, triple by-pass surgery and oxygen 24/7. He has gone to many doctors hoping to find some relief from his pain. It is so hard to see him in pain - even with medication! I know this would help him so much. I know this would help with my thyroid problems and debilitating arthritis in my feet. Thank you for all you do to promote Good Health!! I have rheumatoid arthritis & have been struggling for years. I grew up going to saunas. Unfortunately, they are not as readily available here. I had a car accident when I was 21 that left me with a shattered back. My 5 lower vertebrae are now fused. I few years ago I began having chronic pain in my feet, a backlash of traumatised nerves. I am also having to change my diet due to inflammation (that is how I found you :)..). Anyways, a sauna would be FANTASTIC for my spirit & health. What a great offer, thank you! I'm glad summer is coming and there will be opportunities to sweat! We are really hoping to get a sauna soon. It is so good for autoimmunine diseases. I struggle with inflammation and have many health problems as a result of an injury to my neck when I was 14. I would benefit greatly from a sauna. Due to a limited income it would be a great blessing and help to be able to have the portable one at home. Thank you for your blog, recipes and all that you do. I learn something new everyday! I am healing from Hashimotos and the MTHFR mutations...never knew this was an outlet - yay information that helps! Aside from detoxifying, I'd use this for post-running muscle relaxation! Wow, I had no idea this home model was available! I sauna regularly but would love to do it at home for convenience and quick access to a shower afterward. Thanks for letting us know about PocketSauna. Ever since I was injured in a car accident, I've experienced pain in my neck and upper back. I think a sauna would help relax the muscles that get tight. I think this would help someone with back pain and fibro and general chronic pain. I know someone who could use it right here. I'd love to try using a sauna. With little ones, going to the gym isn't an option right now. I have hashimotos and really struggle especially with having energy to exercise. Thank you for all of the valuable information you share with all of us! Thanks Carrie! I had no idea this company existed. Excited to learn more! I've done so much already to heal my Hashimoto's, but I haven't tried sauna. I would love to use it to detox. I have been on a path to healing that started last June. This has been a major learning curve, but I am on my way now and I am very thankful. I stumbled across your blog, wonderful serendipity! I started reading how you healed yourself. You have inspired me and aided me daily, as well as provided me with recipes for delicious food too! That is a major plus. A sauna would be a wonderful addition in my life, the next level in detoxification and healing. Thanks for sharing your knowledge. Love the idea of something so small and easy and portable. Would love to try this easy to assemble portable healing aid. Thanks. This is amazing! I would definitely share this with my sister. She has psoriasis and I think this would help her so much! I would love to try this for skin clarity and detoxing. Have been looking into this for a while. Would love to try this sauna. i used to have access to a sauna and really could feel the health benefits from using it on a regular basis. It's been a few years now and I miss that the most. I do try hot yoga but it's not quite the same. This is a brilliant idea! It's so beneficial and portable - I hope to get one and start enjoying the help with detoxification and improved mood. Healing and detoxing....may God grant this to all of us! Would love this for the detox benefits. I'm dealing with leaky gut, which brings all sorts of health problems. I'm often too exhausted to exercise… would be nice to get some of the benefits by sitting in a sauna! Wow - sounds amazing. Would love the benefits for pain relief and relaxation. Thanks for the opportunity to enter to win. I would love to have a sauna to help my family and me detox and heal from some autoimmune issues. Thank you! I love saunas but have never tried an infrared one. My mom bought one after us kids grew up and moved away but she lives 1500 miles away! I would love the detoxifying benefits but would really love to be able to relax my back muscles due to lower back problems. I would love to be able to reduce my toxic load as joint pain. Everyone in my family could benefit from this! Love your blog. It is full of information and encouragement....The portable sauna sounds divine! Thanks! Wow, a portable sauna sounds like a great idea! I don't have a lot of space at home & have been unable to afford membership fees at gyms that have saunas. I think this may really help my Hashimoto's & detox issues. I'd use it for detoxing!! Awesome! Thank you!It would potentially help our daughter's back pain, & I would use it for detoxification & relaxation. Both my son and I would benefit from sauna use. We have MTHFR mutations so we know that detox is especially important for us. I regularly spend $10 to sit in an infrared sauna for 30 minutes. It is my down time, my rejuvination, something I always look forward to. Having my own personal sauna would be soooo amazing!! What a generous giveaway, thank you. I've never heard of this product before. I've had thyroid issues for 20 years but just found out about Hashimotos. So since January I've bern trying a gluten free and Paleo diet. I'm still learning and researching. Thanks! Infared saunas are the healthiest saunas. I would love to own one myself. Wow! I never thought owning one would be within my reach. Thanks for posting this awesome give-a-way. We are working on detoxing after years of toxic chemicals bombarding our bodies. This would really help that process - especially since we can't afford to go to the spa. I have a chronic condition that makes it difficult to exercise. Receiving some of the benefits of exercise from the sauna would be very helpful. Detoxifying from the medications I have to take would also be beneficial. This would help battle my Hashimotos!!! This would be great for detoxing. I Have Yeast Overgrowth And A Growth On My Pancreas. I Hope Detoxing Will Help! This would be such a fantastic prize and perhaps a big relief for my husband's back pain! It would help with detoxification. I also am always acidic and having a sauna will help to reverse that. I love your blog. Thank you for the wonderful giveaway. I need some safe detoxing, this would be great! I have heard good things about the infrared, but thought only expensive gyms had them available. Very cool to know that there affordable home versions. With family members that do suffer from the MTHFR mutation I am especially excited to use a sauna to help! I actually don't like the sound of sauna at all - I hate being hot! That being said it would be fantastic for detox and I'd use it if I won! Strange... I've been waiting for the "widget" to open... but it won't and subsequently, I am unable to enter the contest. Not sure why. BTW, another great article Carrie. Thanks! Oh...this would be fantastic to win. My brother has one of these and I love the idea of the detox it would bring to our lives. Thank you Deliciously Organic for allowing me the opportunity! You are so full of great health info, thanks for sharing! I have used both steam and infar red saunas. I especially love the the infar red and used one consistantly for about 2 yrs. so many health benefits I miss using it and would love to win one so I could get back to detoxing again. Great giveaway that would provide us with added health benefits and help with detoxing! Love your blog! What a great giveaway! I've never heard of this. I am battling cancer right now and would love to try it. I've been following your blog for several years now and it's one of my favorites. That's really cool, Thanks for letting us know about it! Wow! What an amazing giveaway. Our family would benefit from Infrared Sauna. I am testing to see if I am hypothyroid right now. I have been following your recipes in the new cookbook , The Grain-free, Family-Table, and have already benefited from the program. Detoxing in the dry sauna would be an added bonus. I have some back problems, so this would be great to try! Thank you for offering such an amazing giveaway! I have lupus, sjogrens, raynauds, ra, kidney disease, celiac, erythromelalgia, adrenal fatigue, high copper and way too many food and drug allergies. This would be absolutely perfect for me! Thanks for always sharing such wonderful and helpful information! Love your blog and your cookbooks! My husband has a skin issue that no Dr. has ever been able to diagnose. Exercise can be difficult. This would be a wonderful way for my husband to sweat and detox. Thanks for the opportunity to win this! My hubby has cancer so this would be great for him. 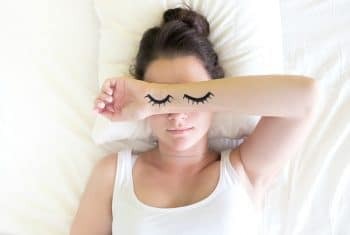 I have been struggling with adrenal fatigue and hashimotos for 3 years now. This may be just the thing to complete my healing journey. Thank you for sharing your story to help others! This is really cool. Wonder if it would help with my fibromyalgia, especially when I have flare-ups. Very nice!! I think any help with detoxification (or less exercise) is awesome!! Our family would love a sauna. We are currently using a far sauna at our chiropractors but one in our home would be so much more beneficial and cost friendly for a family of 9! I lived in Finland for a year as an exchange student and took many saunas while there. My skin was amazing and people there didn't even need to use deodorant. Since then, I've learned that near-infrared is ever better. Looking forward to having something like this at home! Would love to have one...dealing with lots of joint issues right now and we have had such a long, cold winter here in the midwest. The thought of being able to access warmth like the Infared Sauna would be amazing!Thank you Carrie! 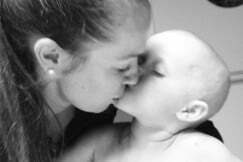 I have an undiagnosed auto-immune disorder and would love to try to help my body recover so I can be healthier for my children. WOW! Great give-away. I love your new cookbook and I am making daily changes. Thank you! I have always wanted to try infrared saunas for the detox effects but have none available in my area. This would be amazing to have a "pocket sauna" to fit in my small home. I would love to win! My dad was just diagnosed with cancer. I also have Hashimotos and have been doing everything I can to get healthy and detox. This would be such an exciting addition to my health routine! The sauna would be so good for our family. Who doesn't want increased metabolism and collegen production, along with increased immunity? Sounds amazing! Thank you for all the hard work you put into your website. It has been so helpful! Found out last spring that my daughter and I have MTHFR mutation and adrenal fatigue. Please don't stop putting out great information. i have been chronically ill and have been wanting to try near infrared sauna. it has been hard for me to exercise so i think this could really help with healing! I am battling Lupus and RA. Currently in a flare, and having difficulty even doing day to day tasks. Walking is especially difficult. Sauna would help immensely, but I live in a rural area with limited options. Thank you Carrie for sharing your personal medical history with us and for creating a better way to eat for everyone! As a working mother of 2 growing girls, you have been a savior of sorts when it comes to creating healthy meals for my family! I have tendonitis and a friend in CA suggested red light therapy since I've tried just about everything! This sauna should also help my husband with his autoimmune disease and also keep my girls healthy as well! You're the best! The nearest infrared sauna to me is 45 minutes away.. would love to have one! I'm so excited about this... I've been wanting a sauna but don't have the room or extra money to put to it for now. I love that's theres a smaller easier option! It will help me to continue to heal from RA. I would love this for relaxation and de-stressing. 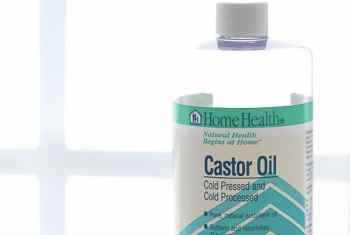 I would use this to aid in healing from hyperthyroidism. This setup sounds so much better than the heat-lamps-attached-to-a-desk-chair we have rigged up at the moment! Bonus...I think these lights are probably not blinding like the ones we have now! What a great offer! Several in our family are dealing w/ multiple health issues. 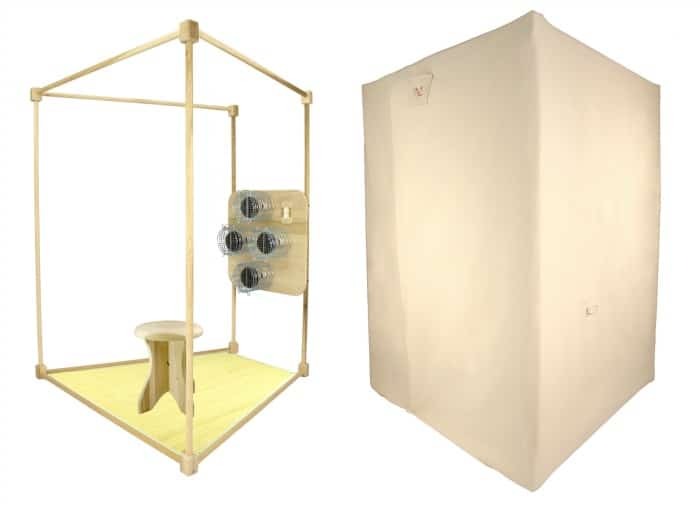 We recently learned that this type of sauna would be beneficial for the cellular detox dysfunction and an AI condition my daughter is having and this comes highly recommended as an arm of healing for her in particular. However, the cost is out of our budget right now. Winning this would be an answer would be incredible! Thanks again. Having an in-home sauna would be fantastic to help detox for health reasons. Having an in-home sauna would be fantastic to help detox for health reasons. Also will help with sorenessw from working in the garden and just age. I need some good detoxing. This sauna would help greatly. I love the idea of reducing toxin levels by infrared sauna sessions. Sign me up to win one! Have been looking at sauna's to help the family detox...Would be nice to have one in the home. This would be great for hubby. He has severe rheumatoid arthritis and spinal stenosis. Pain relieve and relaxation... wow, I could only wish! This would be great! This is completely new to me....I am intrigued! This is totally fascinating! I knew saunas were supposedly "good" for you, but I never really enjoyed them. This makes me want to give them another try, to help with detoxing. My husband has been looking for a sauna. This is perfect and would fit in our house wonderfully!!! I would use it for detox, relaxation, ache relief and cell renewal. Thanks for the info Carrie. If I won, I would use it daily for detoxing and healing some medical issues. I also think it would be very relaxing. I have been paying to use an infrared sauna in a local health center for detoxification, pain relief, and relaxation. I would LOVE to have one in my home. I am struggling with severe adrenal fatigue and autoimmune disease. I've spent the last three years of my life changing the way I live to heal myself. I know the NIR sauna would be a blessing to me! Thank you, Carrie, for sharing all of your wisdom and yummy recipes with so many! God bless you! I would love the for relaxation and soreness. I would love to win this Sauna! I would love to win this sauna to help my body detoxify and feel better!!! I really would love to win this as I am on tight budget. I am dealing with dairy and grain allergies. I also struggle with depression and anxiety that comes from the diet. I am doing everything I can to reverse it. This would really help! I am originally from Russia and to say I miss the Banya (Russian version of sauna) is an understatement! I've lived here for 20 years and miss it. It is amazingly invigorating and I really miss the experience. My husband has heart problems and sauna treatment is really good for him health wise, this would be incredible! I broke my leg last November and I've just been having trouble bouncing back from the injury. I'd hope this could help me with the pain and aid in my recovery. Would love to try this - I'm also battling thyroid and adrenal issues along with Lyme disease so am willing to give it a go. My husband goes to the sauna every day and I'm kinda jealous! I would love to win! I would use it for relaxation and detoxification. My co-worker just recently shared her love for the infrared saunas and all of their benefits. So amazing! Now one is on my wishlist! I have Hashimoto's as well as CFS and so far am a 3 year cancer survivor, sounds like this would help me with all the chronic health conditions. This would be awesome!!! Thanks for the chance! This would be fabulous for our entire family, but especially for my son with autism!! I feel like my health issues are holding me back big time when it comes to living life, I would love to try and benefit from the healing powers of the Infrared Sauna. I have Hashimotos Diease and would love to add this to my routine. My husband and I have talked about getting something like this for awhile. This one looks awesome! It would be great to win it! We would love to detox regularly in our home. It would help me detox. I struggle with that because of Hashimoto's. It would help me with detoxing. I struggle with that because of Hashimoto's. I would love to have a sauna bcuz it's so relaxing and healthy! I would love it for relaxation and detoxifying. My skin would love it too! Is there any place special that we need to sign up for the mailing list? Just enter your email in the Rafflecopter widget (the box that allows you to enter the contest) and you'll automatically be added to their email list. How do I cancel my meal plan payments? As a new Hashi diagnosis has changed my world, I think the SaunaSpace Sauna Pocket would help get me back on track! Thank you for the chance to win! Wow! I've never heard of a portable sauna!! This is amazing and such an easy way to reduce stress. I shared the link on my Facebook but I do not know how to do the entry so I get the extra 10? I would so love to own an infared sauna but have not had it in the budget. My whole family would benefit from a daily detox to major stress relief! My goodness, I would LOVE to win this!! I am currently undergoing treatment with a functional medicine doctor for mercury/lead toxicity and I'm sure this would greatly assist the detox process. Thank you for the extremely generous chance to win!! What a great way to add Infared Sauna Therapy to a daily detox program. My husband was a Finish exchange student in High School and still talks non-stop about the saunas. This is so great! I would love one for back pain and my hubby's migraines~! Hi Carrie, first I'd like to thank you for your blog I really enjoy it and learned so much from it during my journey of healing of different health issues. I'm a mom Of 2 kids still struggling, I would greatly benefit of sauna therapy and appreciate you giving me a chance in this. Thank you so much!! I have inflammatory arthritis. I use heat packs, but when i flare I just need to COVER myself in heat, this would be perfect. My family and I would love to own an infrared sauna! We have not been able to afford one but would benefit greatly from one to improve our health, from detoxing to stress relief. The health of myself and my family is the most important thing to me, so I would love to have an infrared sauna in our home! Thank you for all the information and time that you have dedicated to share with all of us. I always think there is a way to heal ourself. I will keep reading your posts and hopefully I can start healing. I will try this sauna therapy!